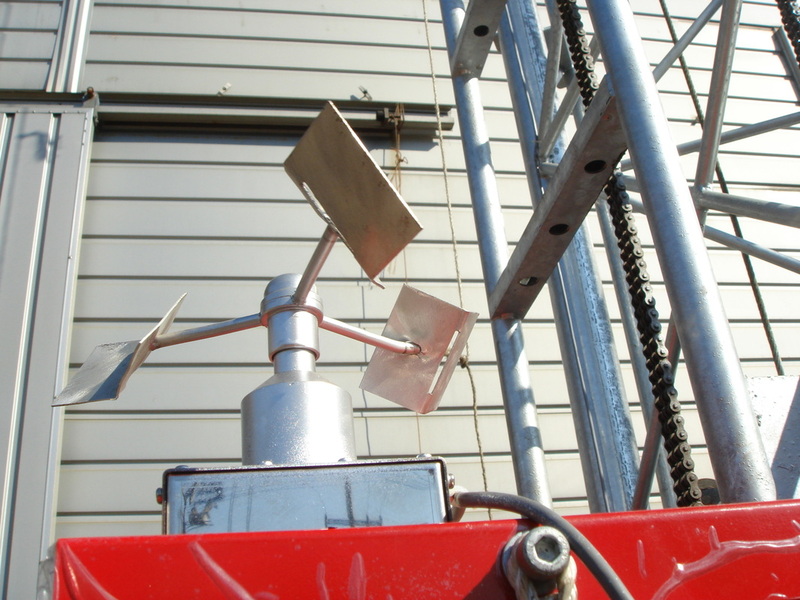 ​ (Installation "Wind & Height Controller"). 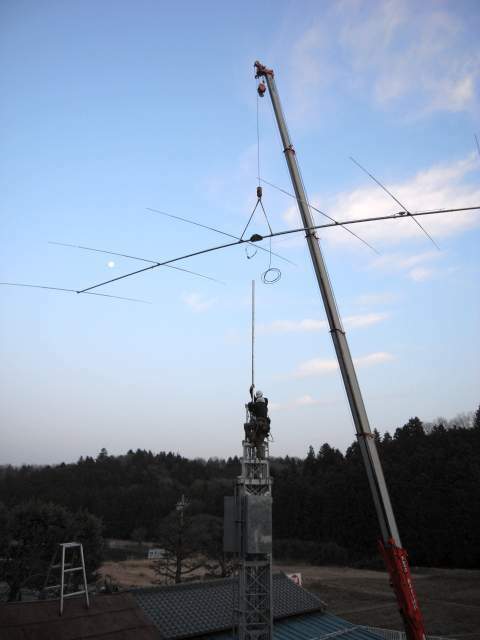 One of optional items, Wind&Height Controller could be installed on WW32 and WW42. 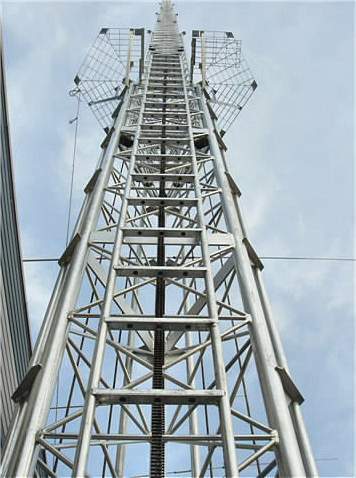 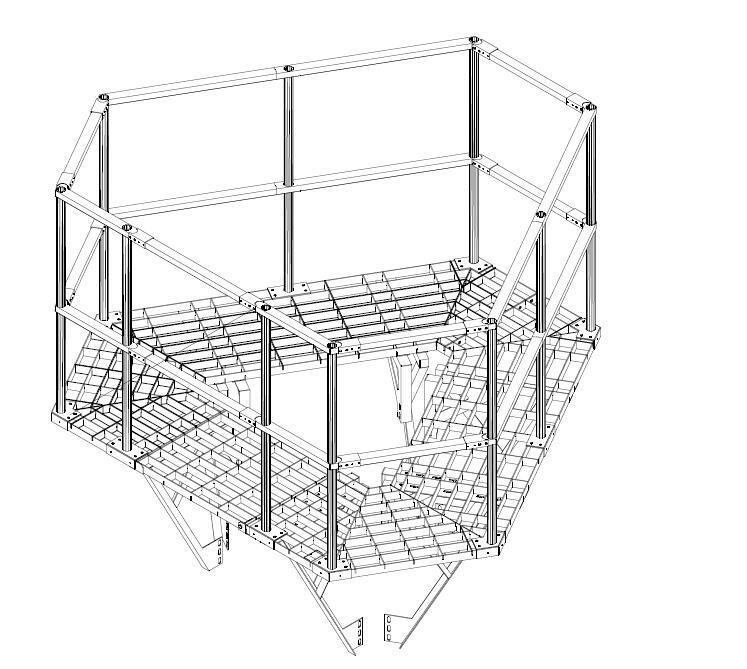 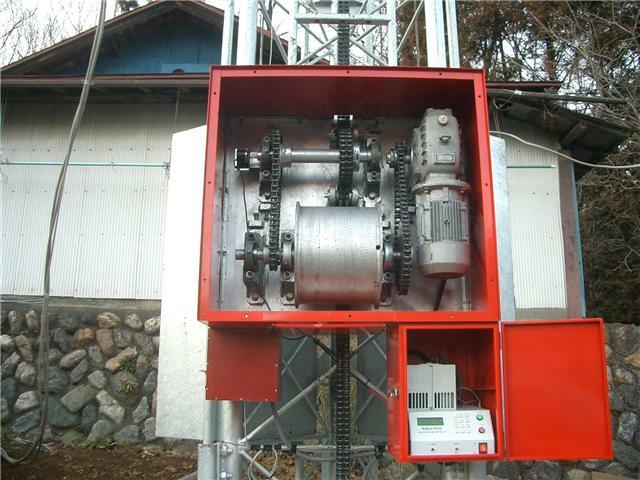 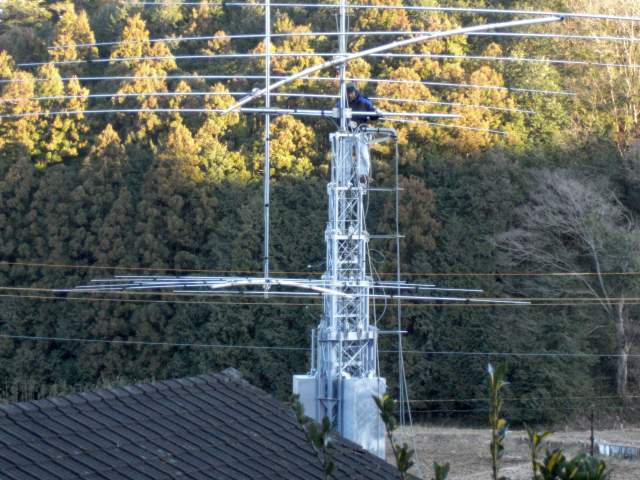 Users may program the order " Raising down the tower to 10m when sensing 40m/s wind speed" with wind & height controller. 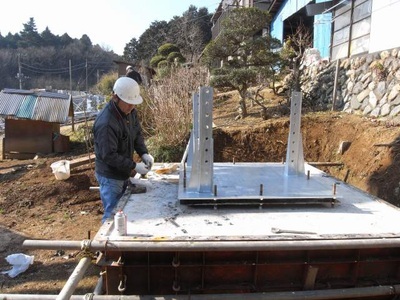 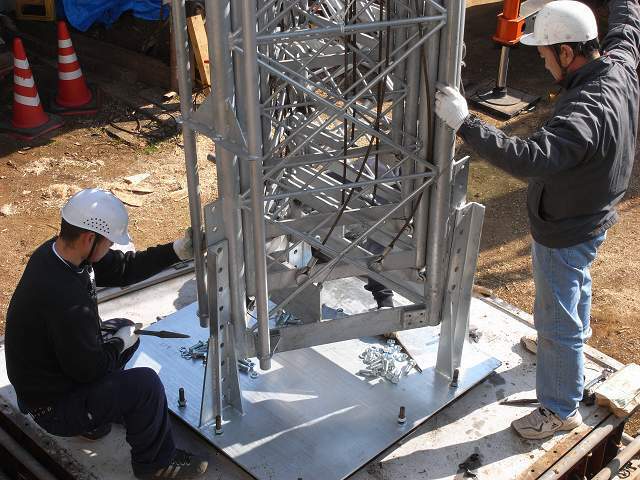 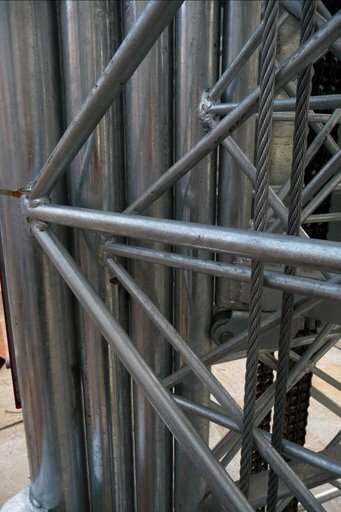 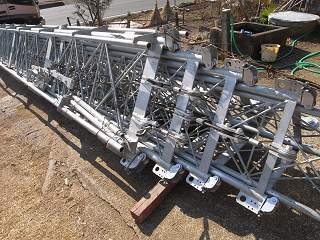 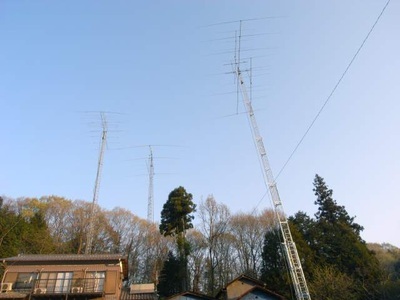 (See the below photos) These photos of few gaps show you " High engineering skill of crank up tower (telescopic tower) ", "Safety" and "Durability". Just like elevator, WW32 and WW42 have the balancing weight on the both sides of tower for the stability of "tower standing " and "tower operating". 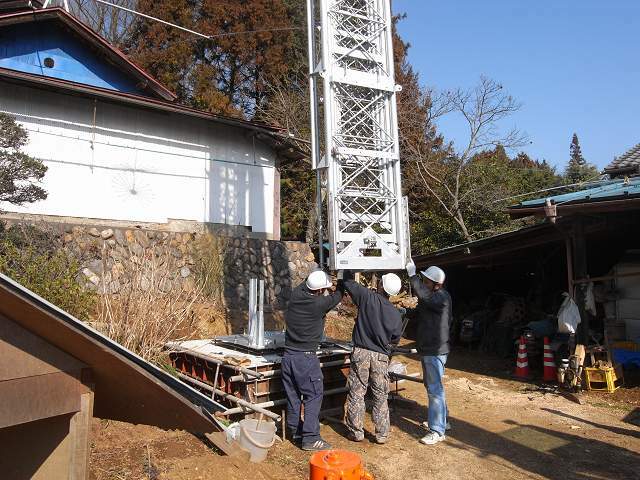 Ladder and work stage are installed on WW32 and WW42.